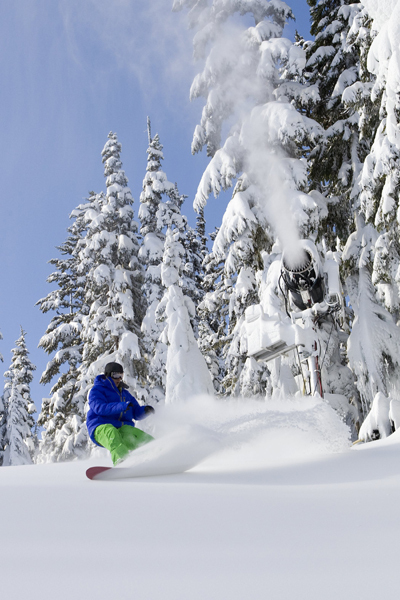 Whistler Blackcomb is considered the largest skiing area in North America. Winter Pride there from February 3rd to 10th is one of the biggest events on Canada’s West Coast. The marmot is to blame. These rodents living in the mountains are known for an excellent early warning system to timely get to safety from predators. Some animals of a hoard on watch sound the alarm by a loud whistling. This whistling sound gave the name to the region between Whistler and Blackcomb Mountains. The valley at their feet once served as a trade route for the Squamish and Lil’wat Indian tribes. At only about 125 kilometres from Canada’s west coast metropolis of Vancouver, thesemountains are a popular summer destination for hiking or mountain biking. The Whistler area is also known for its large population of black bears. Whistler is also been known to Europeans, at least since 2010. Winter Olympics took place in Vancouver and Whistler that year. 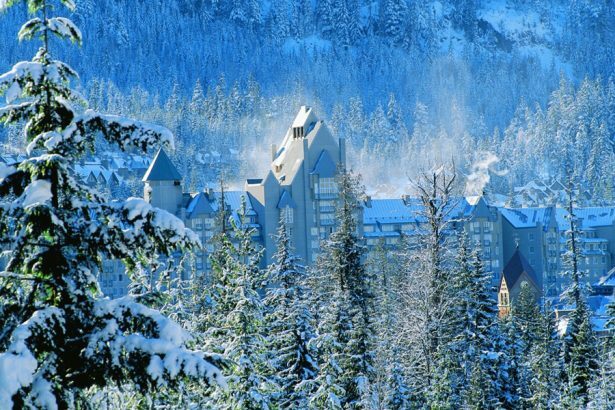 With its 33 square kilometres of slopes and over 200 marked ski-runs, the resort is the largest in North America. 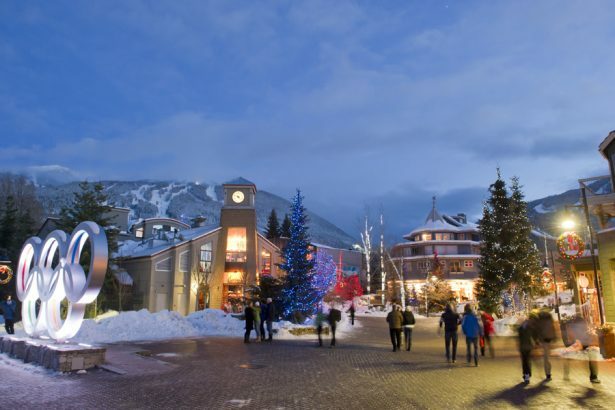 Whether beginner or professional, whether fan of Alpine Skiing or snowboarder: Whistler Blackcomb has something ot offer for every winter sports enthusiast. Whistler and Vancouver had their own meeting place for gay and lesbian athletes for the first time in Olympic history. The Pride House in the Pan Pacific Centre Hotel was a statement against homophobia in sports and at the same time a great opportunity for homosexual athletes to get in touch with each other. But Whistler’s commitment to gays and lesbians is there for a reason. About 60 different events take place during Winter Pride. In addition to the daily ski tours, you can have lunch at designated meeting points and meet for après-ski every afternoon. For non-skiers, who accompany their partners to Winter Pride all the same, there are also plenty of activities that can just be as strenuous as skiing. A guided snowshoe tour through the neighbouring Callaghan Valley not only gives you a chance to test your fitness, but also gives you a lot of infmormation about the flora and fauna of the region. Expeditions on a snowmobile or dog sleds are other highlights. If you love an adrenaline rush, you can ride down the Olympic bobsleigh-run as a co-driver in a bob – an absolutely unique experience. Also recommended: a Zip line Trekking Tour. You can cross valleys around Whistler Mountain high above the treetops, strapped into a gear that is securely fastened to the zip line. 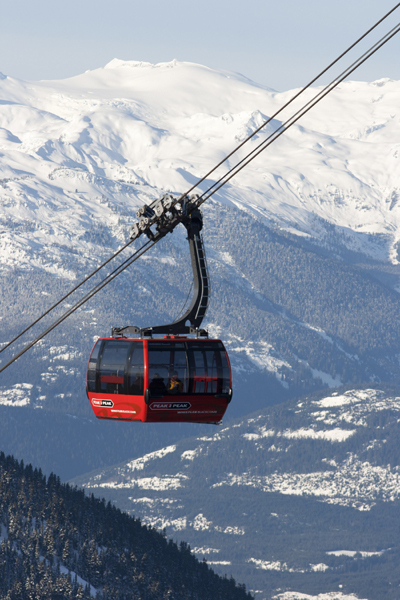 Rather comfortable is a ride on Peak-2Peak-Gondola, which connects the peaks of Whistler and Blackcomb Mountains. The cable car with the largest span in the world is also accesible to non-skiers and offers fantastic views of the valley on a clear day. But you shouldn’t spend too much time on those activities – the participants of Winter Pride have a varied evening program waiting for them. While the first days of the skiing week are a little quieter, the parties and après-ski events become increasingly busy from Thursday on. Most guests from Vancouver and the North American West Coast are staying for a long weekend. 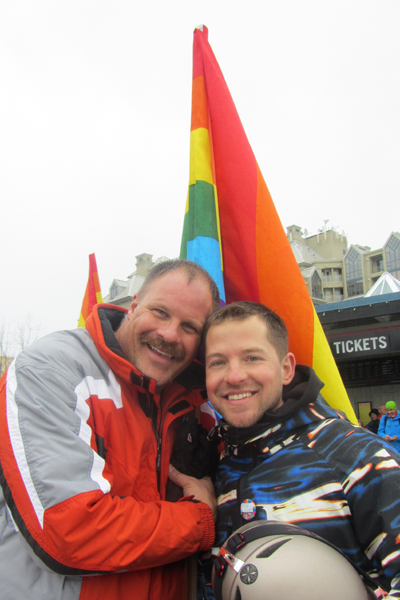 Winter Pride is the biggest gay event on the West Coast beside Vancouver Pride. This measns that there is a proper party at night – be it a pool party in Meadow Park Sports Centre or theme parties in the Conference Centre. The highlight is the big Snow Ball on Saturday evening with gogo dancers and shows. The programme for Sunday is already set: Sleep in. Offical homepage of Tourism Whistler and plenty of information about the ski resort. 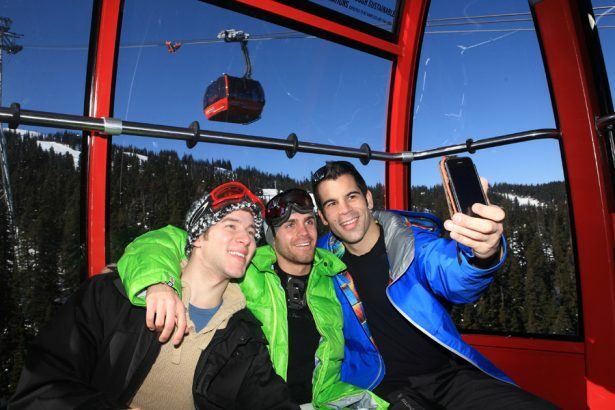 All information on Winter Pride and gay-friendly hotels, restaurants and tour operators. Lufthansa offers daily flights from Frankfurt non-stop to Vancouver. Return flights are available from 900 Euros. Check the airline’s homepage for special offers.